Hearing loss in one ear? Hearing loss is surprisingly common, with 1 in 6 people in the UK currently deaf or living with hearing loss. Hearing loss usually happens gradually over time. You may find that background noise, such as tannoy announcements, sounds distorted; or you may struggle to hear someone’s voice, or hear their speaking as mumbling, when there is background noise. Ageing is the most common cause, with 70% of those over 70 and 42% of those over 50 experiencing some form of hearing loss. But it can occur at any age, with loud noise and music thought to be main contributors to hearing loss. Being exposed to too much loud noise (MP3 players, concerts, loud pubs and clubs) is a significant cause of hearing loss, and is thought to be behind the increasing numbers of those in younger age groups who are losing their hearing. Some hearing loss can be reversed with the correct treatment, so do not hesitate to speak to a doctor if you are having problems. We are available six days a week. 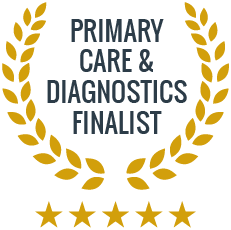 Appointments can be made using our online booking system, or over the phone. The best way to protect your hearing is to limit continued exposure to loud noise, using earplugs where appropriate, and limit your personal music player’s volume to 60% of its capacity. If you are exposed to loud noise, try giving your ears as much rest as possible afterwards, with a 16 hour break advised per 2 hours of 100dB sound. Damage to the inner ear can be caused simply by aging. Other factors include long-term exposure to loud noise, which can damage the delicate structures inside the ear and cause electrical signals to be transmitted to the brain less efficiently. Can hearing loss be reversed? Those suffering from conductive hearing loss may be able to improve their hearing with hearing aids or surgical correction. 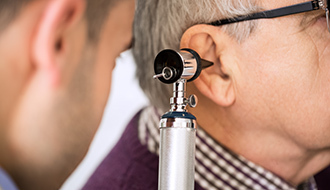 Sensorineural hearing loss may be treated with surgery, medication, and hearing aids. Individual cases and success of treatment will vary.